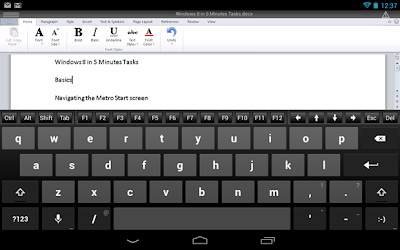 Although there are great word processors out there for Android, having the familiarity and ﬂexibility of features of Microsoft Ofﬁce is hard to beat for those who work with it on a daily basis on a desktop or laptop computer. 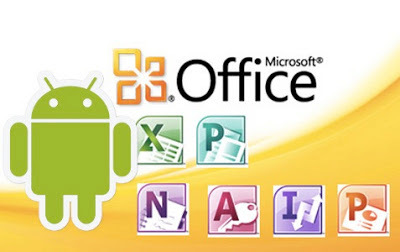 CloudOn, an app which can be downloaded for free from Google Play, lets you access the power of Microsoft Ofﬁce on your Android device. 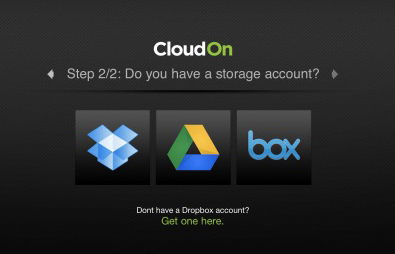 What it also does is enable you to save your ﬁles to the cloud using one of four existing services: Dropbox, Google Drive, SkyDrive and Box. You are also able to pull documents from any of these services and edit them on your device before making notes and saving them back. The app also lets you open up other ﬁle types as well, including images and PDFs using the built-in File Viewer and Adobe Reader. CloudOn doesn’t only cater for word processed documents. It also lets you use Excel and PowerPoint to create, review and edit spreadsheets and presentations. There are facilities for renaming ﬁles and sharing them as links or attachments via email. When you open CloudOn, it will ask you to sign in or create an account. We’re assuming you don’t have an account so tap the latter and then select a storage account from either SkyDrive, Google Drive, Dropbox or Box. With access to one or more of your cloud services, you can begin to view ﬁles. Other storage options can be accessed by tapping and signing in. Tap the storage account where the document you want to access is located. A list of the documents in your storage account is listed. 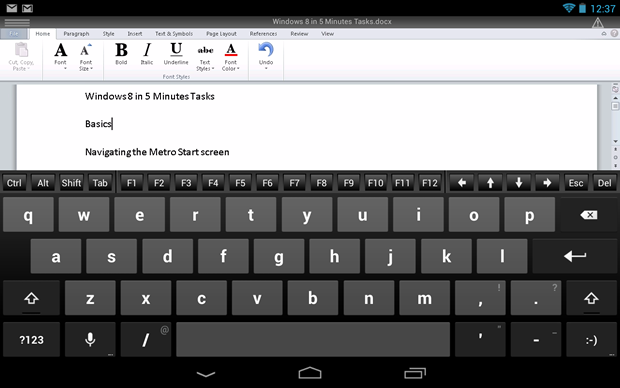 By the side of each, you will see the ﬁle type, for example, Microsoft Word or Adobe Reader. Tap on the ﬁle you want to access and it will be opened. Now you will see a familiar word processing layout. At the top there is a series of menus. Tap one of these and icons appear underneath offering various functions such as bold, italics or pie charts and so on. When you tap anywhere within the text, the keyboard will appear and you can make amendments that will then be saved to your cloud storage facility. You can add a note about your amendment and editing times are also shown.